Updates to Michael G.'s profile since your last visit are highlighted in yellow. hannah elizabeth easter, b 1996, currently graduated 2018 LSU-Shreveport, and manager at chic fil a. just got engaged to an air force dude 11/24/18. crosson grey easter, b 1999 (boy/family name)currently Louisiana Tech class of may 2021.
added to my daughter's brood september 2018, a 14 year old foster kid, izzie. smart as a whip! ...man in the gray flannel suit... in new orleans, wilmington, delaware, new york city, greensboro, nc. owned a fitness center in nc for a couple of years. quit working in 1996.
winning the f'ball championship at briggs stadium. winning city swimming championship in '57 and '58/coach stuckey...one-of-a-kind-wonderful man! norm nettie and gary wilson..... my best friends ever. gary, jack findlater, bob allen and i won the medley relay in the city meet. not realizing at the time that i was in the greatest h.s. senior class in history. my rhs memories actually go back to 1951-1955, as my brother ted and sister sue ann graced the campus with their presence and were active in clubs/swimming team/tennis and some other stuff. 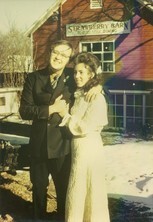 i think my sister went to the senior prom ('55)with bill smith, captain of the football team. when he came to pick her up in his tux, i was in awe. i wasn't up when they got home, so i don't know if sue gave captain bill a goodnight kiss. she won't tell me. 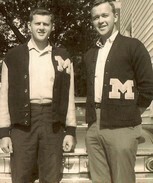 u of mich, bba and mba in mid 60's. new orleans 65-66, wilmington, del 66-68, toledo 68, englewood, nj 68-79, winston-salem, nc 79-96, ft. pierce, fla 96-00, bossier city, (nw) louisiana 00 'til present. Michael G. Reissing added a comment on Profile. Michael G. Reissing posted a message. New comment added. Michael G. Reissing added a comment on Profile. New comment added. 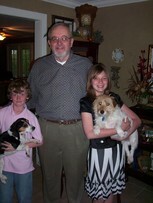 Michael G. Reissing updated profile. View. Michael G. Reissing added a photo to profile gallery. ....carl (goose) was one of the best..... left a shining legacy! condolences to his wife and family. RIP to the big dude! (7th grade at holcomb, carl is top right). Michael G. Reissing has a birthday today. New comment added. Michael G. Reissing posted a message. BEST SON IN THE UNIVERSE......BY FAR!